Two of the bigger concerns that people have when they are facing any kind of soft tissue surgery, also called gum recontouring, is that it will #1 hurt, and #2 take a long time to heal. And in the past, this was sadly, usually true. Now, with the introduction of laser dentistry, many of those concerns are being eradicated. Why? Because laser dentistry, using a dental laser, has provided our patients in the Derry NH, Windham NH and Londonderry area with a cleaner, easier, faster and less invasive way to do gum recontouring. A dental laser can be used for gum recontouring during a root canal procedure. The surgery often was quite invasive and required a longer recovery and healing time. A dental laser often is far less invasive and patients in Derry NH have often been able to go back to work far quicker than they expected. If there is a lesion or a cancerous growth found, a dental laser can be used to remove the cancer with far less invasive cutting. Laser dentistry is also used in some teeth whitening procedures. 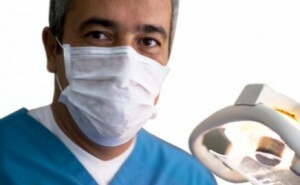 Laser dentistry is so effective that often there is little to no need for anesthesia. When gum recontouring is part of the procedure, laser dentistry procedures often keep your gums from bleeding at all or as much as if traditional methods had been used. We want you to feel comfortable and with as little anxiety and discomfort as possible at your dental visit near Londonderry. For this reason, we use laser dentistry for gum recontouring and for other appropriate procedures whenever possible. For more information about laser dentistry, call our office in Derry NH serving the surrounding areas including Londonderry and Windham NH today!